I have a new baby bunny I got recently from a local pet store...she is only 7 weeks so I was attempting to do some research. Your website has proved most helpful but I noticed that she would normally just be ending her weaning process....is there anything that I need to do specifically to help her out a bit or is there anything that I need shot wise for her? The definition of weaning is when the bunny is able to take care of itself by itself. Your bunny probably fit this definition by the time it was 4 weeks old, however many breeders leave them in with the does for several more weeks. Even though your bunny is 7 weeks old, it is now quite capable of caring for itself. That said, there is only one special piece of advice we give to new pet owners - ensure a constant supply of timothy or grass hay, at least until the bunnies are 10 weeks old, and you're already ahead of us on that score! Since you mentioned banana, we'll just say that fruits are like straight candy to a rabbit ... waaay too much simple carbs. Go reeeeelly easy on 'em! Especially before 10 weeks of age, since that is the time frame where their gut bacteria are still getting properly balanced. You sure don't want to give an opportunity for disease bacteria to flourish, resulting in diarrhea and possibly death. Well, all she needs is a cage, feed and water. Do not give her shots -- rabbits don't need shots of any kind. I breed rabbits and I never give my rabbits shots. Also, NEVER spay your doe because you WILL lose her. It has happened to me and many of my friends before. 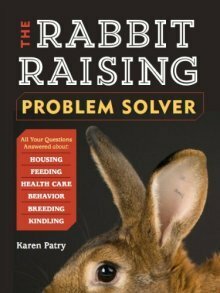 Leave your rabbit intact because they will live longer with less health problems. For feed, just give her rabbit pellets. She will live on those just fine. Best of luck with your new bunny! !